The Doctor's Computer Will Email You Now : Shots - Health News Though it may sound like an oxymoron, "automating empathy" is becoming a catchphrase in health care. The goal is to help doctors engage with patients cheaply and with minimal effort. Does it work? 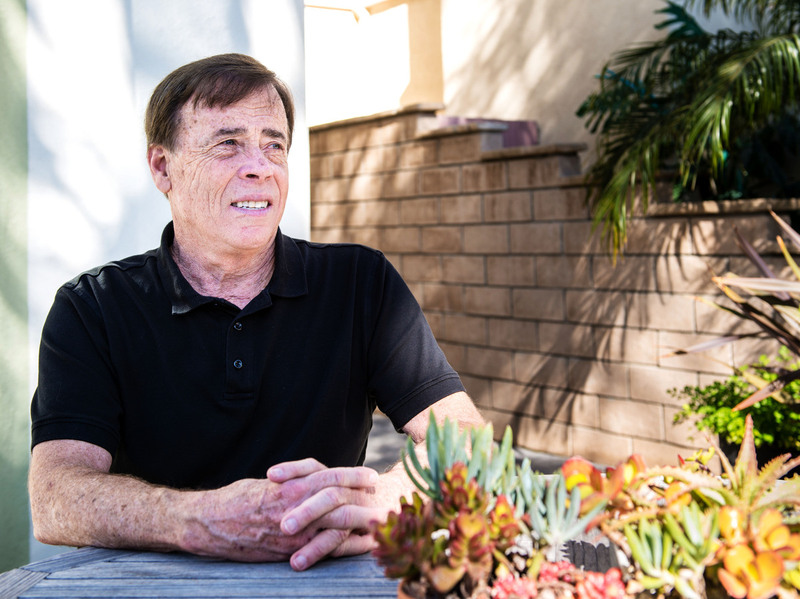 After knee surgery, David Larson, 66, of Huntington Beach, Calif., experienced pain in a calf muscle. His answer to an automated email from the doctor led to the diagnosis and treatment of a potentially dangerous blood clot. A health care startup made a wild pitch to Cara Waller, CEO of the Newport Orthopedic Institute. The company said it could get patients more engaged with their care by automating physician empathy. It "almost made me nauseous," she said. How can you automate something as deeply personal as empathy? But Waller needed help. Her physicians in Orange County, Calif., perform as many as 500 surgeries a year, managing large numbers of patients at various stages of treatment and recovery. 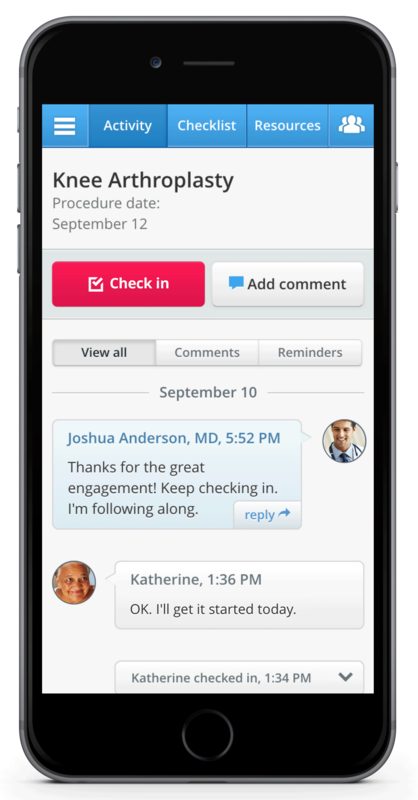 The doctors needed a better way to communicate with patients and track their progress. The California startup, HealthLoop, told Waller its messaging technology would improve patient satisfaction and help keep them out of the hospital. High satisfaction scores and low readmission rates mean higher reimbursements from Medicare. Waller was intrigued and decided to give the technology a try. So far, she's been surprised at patients' enthusiasm for the personalized — but automated — daily emails they receive from their doctors. "There's a limited number of resources in health care. If you do 500 joint replacements in a year, how do you follow up all of those patients every day?" Waller said. The technology "allows you to direct your energy to people who need the hand-holding." Though it may sound like an oxymoron, "automating empathy" is becoming a catchphrase in health care. The goal is to help doctors stay in touch with patients cheaply and with minimal effort. Automated empathy is a powerful draw for hospitals and other health care providers scrambling to adjust to sweeping changes in how they're paid. When empathy is automated, it looks like this. Whether the emails actually trigger an empathetic connection or not, the idea of tailoring regular electronic communications to patients counts as an innovation in health care — one that has the potential to save money and improve quality. Companies like HealthLoop are promising that their technologies will help patients stick to treatment and recovery regimens, avoid repeat hospital stays and be more satisfied with their care. Similar companies that aim to improve patient engagement include Wellframe, Curaspan and Infield Health. HealthLoop's technology is being tested at medical centers that include the Cleveland Clinic, Kaiser Permanente-Southern California and the University of California, San Francisco. How does it work? Doctors can send daily emails with information timed to milestones in surgery prep and recovery. The emails can ask patients or caregivers for feedback on specific issues that come up during recovery. The doctors may write their own email scripts, as Newport Orthopedics' physicians did, or use the company's suggestions. An online dashboard helps doctors and administrators keep track of which patients are doing well and who might need more follow-up care. A patient might see this message: "How are you? Let me know so I can make sure you're OK. I have four questions for you today." The answers to those questions can trigger a call from the doctor's office. One of those calls may have been a lifesaver for David Larson, a Huntington Beach retiree. After Larson responded "yes" to an email that asked if he had calf pain after knee surgery, he got a call from his doctor's office telling him to come in immediately. An ultrasound confirmed he had a blood clot that could have landed him in the hospital — or worse. With treatment, the blood clot dissolved. "There were times when it was like, 'Oh brother, they're contacting me again,' but none of this would have been caught if it wasn't for the email," said Larson, 66. "So it was more than worth it to me. Now I'm back to walking the dog, surfing, riding a bike." How to keep patients like Larson from being readmitted to the hospital because of avoidable complications after a hospital stay has long been a vexing and expensive challenge. Almost 1 in 5 Medicare patients discharged from a hospital — approximately 2.6 million seniors a year — must be readmitted within 30 days, at an annual cost of more than $26 billion, according to the Centers for Medicare and Medicaid Services. For decades, hospitals had no financial incentive to keep patients out of the hospital after they were discharged. But under the Affordable Care Act, penalties were established for hospitals with readmission rates higher than the national average for certain conditions. Also under the ACA, hospitals are financially rewarded for high scores on patient satisfaction scores and good performance on other quality measures. The sea change is affecting doctors' groups, either because they are part-owners in hospitals, as Newport Orthopedics is with Hoag Hospital in Newport Beach, Calif., or because they participate in risk-sharing financial partnerships with them. With money on the line, hospitals and other health care providers may be willing to pay for programs like HealthLoop, if the tryouts prove successful. And you could see your own relationship with your physician change as a result, whether you're on Medicare or not: HealthLoop is aimed at all patients, whatever the payment source. "Automating personalized messages isn't a terrible thing; we all get some of that in our everyday lives," said Michael Millenson, a health industry consultant. "The real question is whether this kind of automated messaging is in conjunction with a cultural change in how doctors think about their patients or not." Health care providers have experimented, with varying success, with ways to prevent complications that can lead to readmissions, said Kristin Carman, vice president of health policy research at the American Institutes for Research. Robocalls reminding you to take your medicine, for example, don't seem to be very effective. And the new technologies don't always address demographic, cultural and language barriers that can prevent patients from communicating with their doctors. For now, HealthLoop is available in English only. Dr. Jordan Shlain, a San Francisco internist, said he founded HealthLoop because he wanted a simple way to keep track of his patients' progress after a hospital visit or procedure. "Every human has the same kind of trajectory of concerns and anxieties with regard to medical situations," Shlain said. "You know your doctor can't email you every day; you know your doctor usually will not call you. Now you're in a world where your doctor says I'd like to use this system to stay in touch with you and guide you through your recovery." Dr. Thomas Vail, professor and chairman of the department of orthopedic surgery at the University of California, San Francisco would agree — up to a point. With his UCSF colleagues, Vail is testing HealthLoop's system with his patients, and the university will be evaluating whether patients who use it experience fewer problems. UCSF helped create some of the language for the automated emails and has a financial relationship with the company, said Dr. Aenor Sawyer, who directs UCSF's Skeletal Health Service and is a leader at the university's Center for Digital Health Innovation. While Vail thinks HealthLoop is potentially promising, he's cautious about its role in his practice. "I don't think it substitutes for face-to-face communication," Vail said, "but it does help us collectively to not overlook something that might be important."